A 44 bed unit has been set aside on a dedicated landing in Maghaberry Prison’s Quoile House for male prisoners accepted onto the Families Matter scheme. The men who sign up have to have a good disciplinary record, be drug free and not charged with a sexual offence. They can be remand or sentenced prisoners. The innovative 17-week programme – which began in October 2012 – aims to address offending behaviour of fathers in prison through a full time programme of family related activities. The Detail was given unique access to the project which is the only one of its type in a state prison in the UK – inspired by a similar scheme which operates in the private Parc Prison in south Wales. During the week, the men take part in classes which focus on family life and family relationships – like cookery, money management, homework skills, literacy and learning about children’s physical and emotional development. Participating prisoners can also take part in an extra child-friendly monthly visit with their families. This visit lasts four hours and is much more informal than the normal hour-long prison visits. 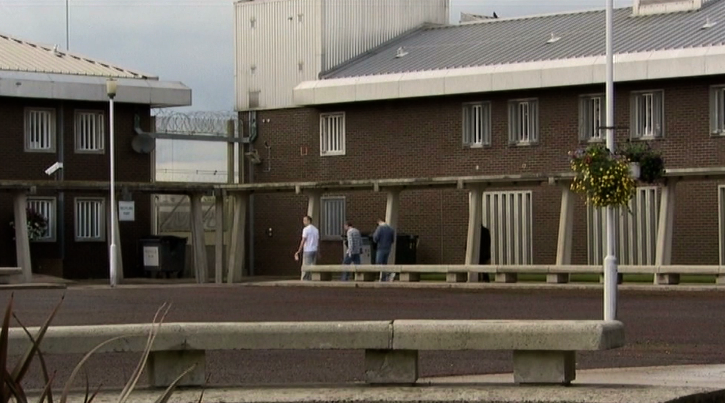 So far, 90 prisoners have taken part in Families Matter – including 30 men who are currently living on the landing. Maghaberry’s deputy governor Austin Treacy, who will move on next week to become governor of Hydebank Wood Prison and Young Offenders Centre, oversaw the establishment of the Families Matter scheme at Maghaberry. He said: “Barnardo’s and the Northern Ireland Prison Service have a long history of partnership working but this project broke new ground with the development of a Monday to Friday, full time dedicated programme with Barnardo’s at the heart of the regime. Mr Treacy said that the four hour family monthly visits are an important element. He continued: “We seek to connect fathers to their children and partners through extensive training in positive parenting techniques. “The focus of all of the sessions is on the children and by bringing the voice of the child into the room many dads begin to understand the impact their offence has on their own family. For the third programme, the prison received three applications from dads for each place available. Barnardo’s NI has been working across all of Northern Ireland’s prison sites for over 20 years with a range of parenting programmes aimed at maintaining contact and supporting parent/child relationships. The charity works with anyone in custody who is a parent, step parent or carer for children. 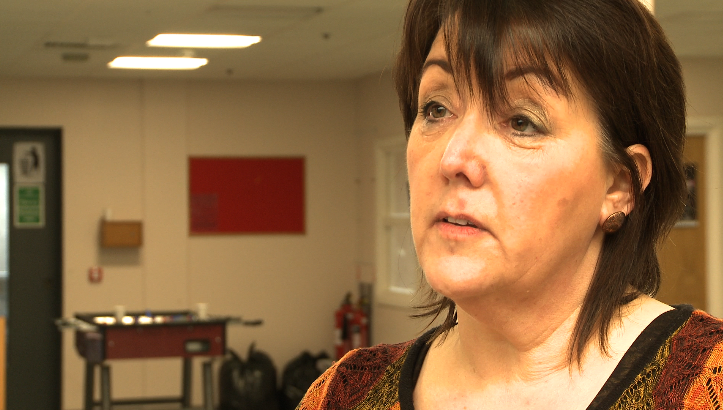 Deirdre Sloan is manager of Barnardo’s NI Parenting Matters service. She said: “Many parents when they are in custody believe that they can’t still be in the role of parent, that they have lost all ability to parent and don’t know how to maintain their relationships. “Our programme is very much about working with parents on what they can do rather than what they can’t do, helping them to see that even though they are physically separated from their children there are many things they can do. “A core part of the programme is getting them to reflect on the kind of parent they are and the kind of parent they want to be." Mrs Sloan said being in prison and the separation this leads to has a huge impact on families and children. She continued: “The course can be a motivating factor for many of the dads to think about the choices they make in life and the impact this has on not only the victims, but also their families who are often the forgotten victims. An evaluation of the Families Matter scheme was undertaken by Dr Eunan McCrudden, a clinical psychologist, and Dr Hannah Jane Braiden, an educational psychologist, on behalf of Barnardo’s NI. They found that fathers who completed the course felt their confidence in their abilities as a parent had improved and they better understood the impact of their imprisonment on their families. Michelle Butler is a lecturer in criminology at Queen’s University Belfast. She said: “Parental imprisonment can have a major impact on family life as it can lead to family breakdown, financial hardship, distant relationships between parents and their children, psychological problems and, in the case of female prisoners, children being taken into care if no-one else is available to look after them. “Children, in particular, can suffer greatly when their parents are imprisoned. She continued: “We know that parental imprisonment is a risk factor for children becoming involved in later criminality so if the Families Matter programme can help break this cycle then that is very beneficial. “I think this programme is very interesting and has the potential to be beneficial to the prison, prisoners and their families if it can reduce the negative effects of imprisonment and improve family relations and prisoners’ psychological health.